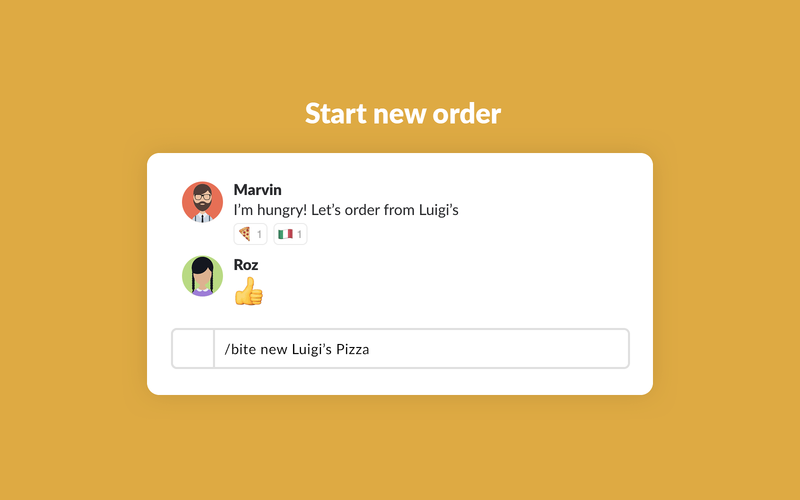 Coordinate everyday lunches directly in Slack.You don't need to pay your coworkers back every time you eat together, Bitebot will know when it's your turn to pick up the tab. Bitebot will be able to access information about your workspace, including name, email domain, and icon. 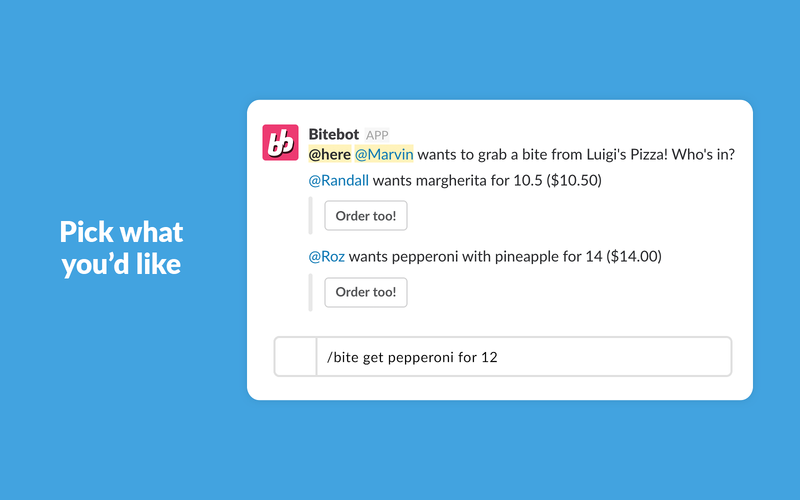 Bitebot will be able to send messages to your workspace. Bitebot will be able to view your Slack avatar on your workspace. Bitebot will be able to view your user id number, full name, and workspace id number on your workspace. 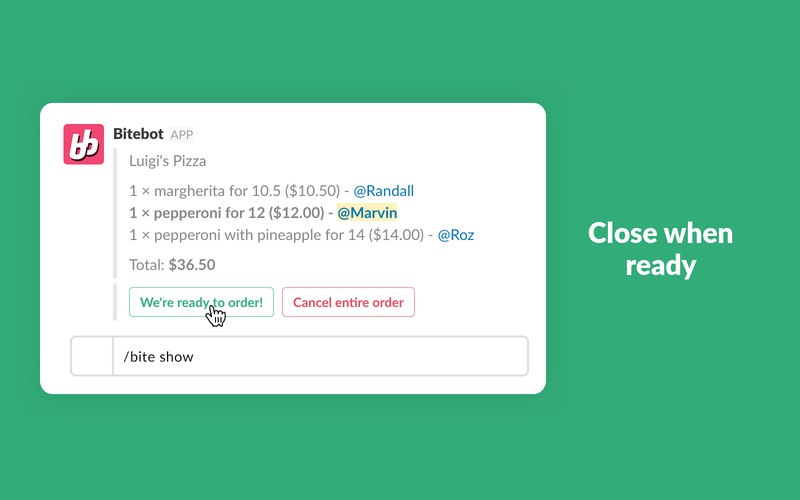 Bitebot will be able to view your email address on your workspace. Bitebot will be able to view your Slack workspace name, domain, and icon. 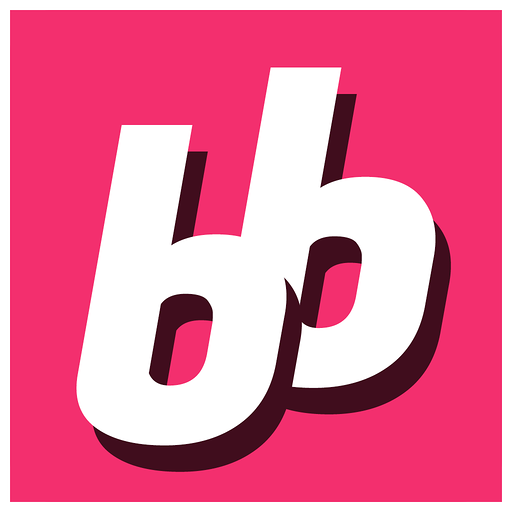 Bitebot will be able to install a bot user that appears in and has access to your workspace’s directory. It can also post messages and view activity on messages in any channel it is invited to. Bitebot will be able to access profile information for all users on your workspace, including names and contact information.